COG made a donation to help establish the Stacey Sauerberg Initiative at the City of Hope in Ntagacha, Tanzania, a holistic development project combining an orphanage, a primary school, a community medical center and a working farm in a remote area of Tanzania. After the floods in Baton Rouge, Lousiana, COG helped a local family with six months of mortgage payments and new appliances for their devastated home. In our commitment to serving the underprivileged, we joined forces with the Link Stryjewski Foundation to send children to a variety of summer camp programs. COG helped a young teenager, Josh Farahzad in his efforts to get basic toothbrush and toothpaste materials to rural communities in Appalachia America and other needy areas. A donation was made to an individual who was in need of medical and living expenses, as part of his heart transplant operation. We are happy to report that the patient successfully received his new heart and is doing well. 6 youths were identified as needy recipients for new glasses at the Youth Shelters and Family Services of Santa Fe. In addition, we identified 5 youth who needed dental services and 40 who received new winter coats for the season. A grant was given to a young African HIV positive orphan, allowing her to complete her education and become a productive member of her community. COG continues to assist individuals and families in need of help in the aftermath of Hurricane Sandy. Nearly two years later, there are still needy families. on Jewish Poverty to continue to help the families that are still struggling after the effects of Hurricane Sandy. After the tragedy on Mount Everest, we made a donation to the Widow’s Fund to help support the specific families in the Sherpa community who lost fathers and brothers. LIV is a new community-based living experience where multiple families live together to create an interdependent unit. Our donation went to the support of one family unit for 6 months (pictured above).The Costa Verde International School in Nayarit, Mexico is designed to educate poor children with high potential. 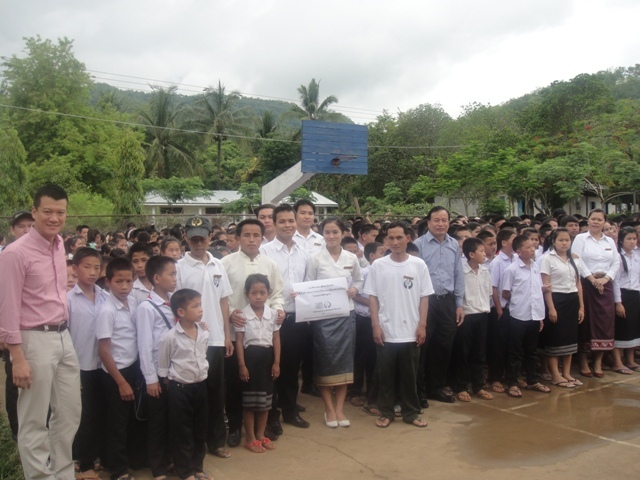 COG has funded an identified student for one year with a scholarship to attend 7th grade. We participated with womenforwomen.org to sponsor 8 women from 8 war torn countries like Iraq and Afghanistan. 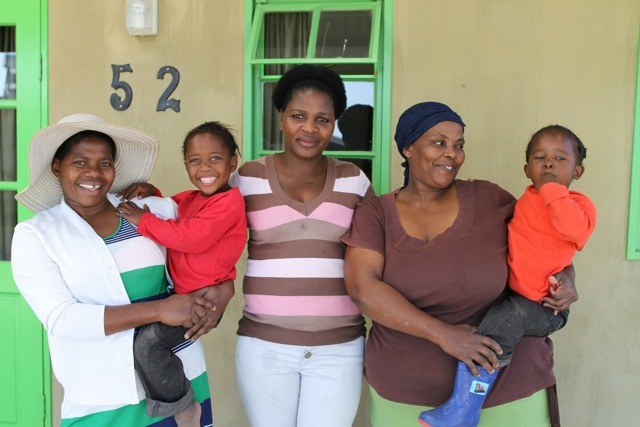 The goal is to help these women rebuild their lives after living through severe strife and poverty. Since the devastation brought on by Hurricane Sandy in the NY Metro Area, we have helped in a number of ways….providing gift cards to Home Depot for a family that needs to rebuild, a gift card for a mother and two children who had no clothes, and food cards for young children who are in Covenant House/Atlantic City. We continue to reach out for other victims to provide random acts of kindness to those in need after the destruction brought on by Sandy. 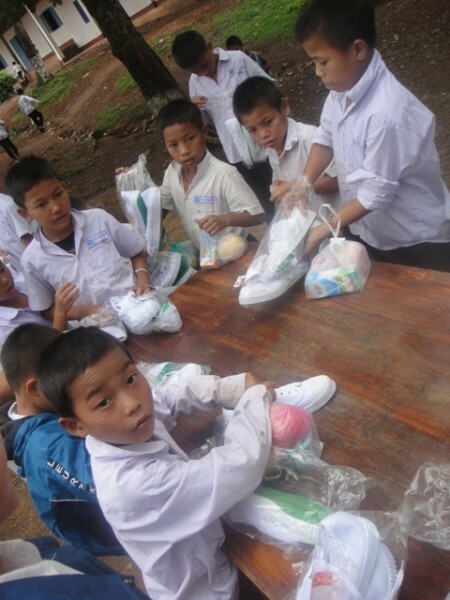 In April, 2012 Circle of Generosity donated 575 pairs of shoes to the children of the Luang Prabang, Laos orphanage. A donation was made to the Borough of Manhattan Community College Emergency Fund Office to help 4 identified students who needed help with basic food and transportation vouchers. COG contributed to “The River” based in Ellensburg, Washington for the families of two young children. One who was diagnosed with bone cancer and the other who had an accident that resulted in the need for surgeries of broken bones. In both instances, COG helped the families for stays in Ronald McDonald house, as they traveled to Seattle for hospital visits. Regina is a Brooklyn-based woman who gave 2500 hours of “sweat equity” to Habitat for Humanity, earning her the right to purchasing a condo with a low interest mortgage rate. She had saved the money, but had to use it to pay for a family member’s funeral. When we learned that she might lose the opportunity to buy her first home, we stepped in to pay the fee to assure that she would get the mortgage. A young Salvadoran couple who were granted political asylum in the United States, arrived in Boston with the clothes on their back. Circle of Generosity made a contribution to help them to set up a Household in the Boston area, helping with basic household furnishings. An American serviceman from the New York area was critically injured in February, 2011, from an IED, sustaining the loss of both legs above the knees and injuries to both arms which the doctors are Expecting to heal. The family is in need of critical support for the long road ahead. A donation to help in the healing process has been made to assist this young man and his needs. For the Holiday Season, 2010, Circle of Generosity provided Food Vouchers for over 50 families in need in the New York area. We worked with The Volunteers of America (VOA) to distribute these vouchers for a Holiday meal. In the town of Sayulita, Mexico, a series of torrential rainstorms destroyed the home of a local family. 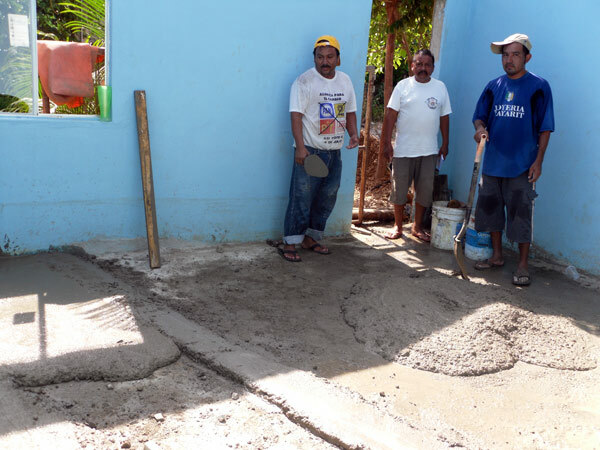 Our donation has helped them to rebuild their home in this small village on the West Coast of Mexico (pictured above). A young Cambodian child fell into a fire that created a fixed scar that pulls down the skin on his lips and face. He was brought to the hospital where he spent six months and now requires surgery for his injuries. Working with Friends Without A Border, the group that operates the Children’s Hospital at Angkor Wat, we have made a donation towards this young boy’s surgery. Covenant House/New York has a dynamic program called Rights of Passage, which allows young adults who have challenged home environments to get on the right road to a successful future. In working with this organization, we identified three individuals who we have made donations to, specifically to help fund vocational/educational programs for a better future. Dr. Mary Lake Polan, an American gynecologist began her own acts of kindness by sending gyn surgeons to Eritrea in Africa to help local women repair fistulas due to difficult child births. In this part of the world, women can be ostracized and driven from their families due to this medical issue. So far, over 400 surgeries have been performed by the team assembled by Dr. Pollan. Circle of Generosity made an act of kindness for four women to have this surgery, allowing them to start new lives without the stigma of a fistula and to reintegrate into Eritrean society. The wife of a Connecticut family has had to have more than 11 knee operations, exacerbated by an automobile accident. With insurance refusing to pay for some of these operations, the family has gone into deep debt to try and handle these costs. COG has made a donation to help them through this economic crisis. 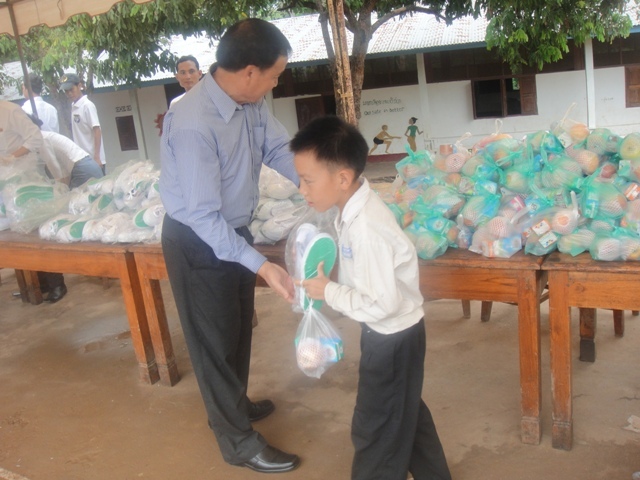 Dr. John Legeros, an American, has been involved in running a school in the Philippines for street children. 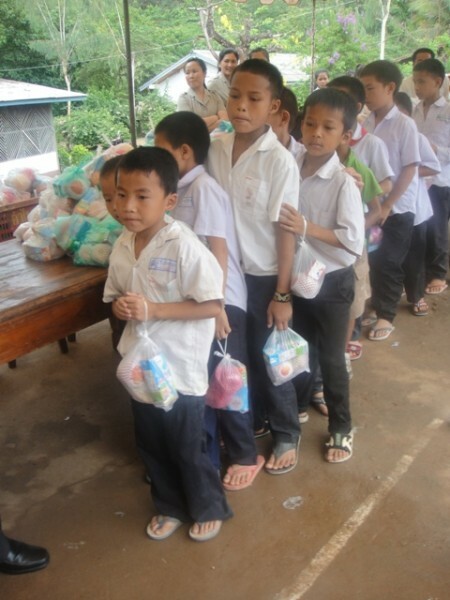 Our donation has allowed 5 individual children to be sponsored to his program. 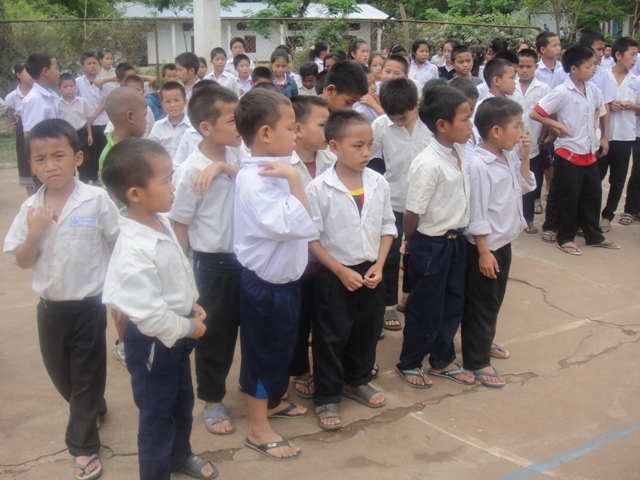 In one year, they will have reading and writing skills, they will receive one meal a day, as well as some vocational training. Dr. Legeros’ program is accredited by the Philippine Department of Education. The Guerrero Family consist of 4 adults and 7 children and they live on Long Island, New York. The two fathers are day laborers and while they have been able to combine their earnings to pay for their family needs, their house was recently destroyed during a Nor’easter storm. Rescuers brought them to the North Fork Spanish Apostolate, literally with the clothes on their backs. We have made a donation directly to the Guerrero family for basic food and clothing needs, as they begin to rebuild their lives.